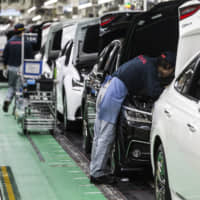 Annual spring wage negotiations got into full swing Wednesday as labor unions from Japan’s major automakers submitted their requests to management amid an uncertain global economic outlook. This year, Toyota Motor Corp.’s union, seen as the industry’s trendsetter, did not present a specific target for a hike in base pay, focusing instead on securing an overall improvement in benefits for employees. Workers at Nissan Motor Co. and Honda Motor Co., meanwhile, stuck to demanding a monthly base wage hike of ¥3,000 as in last year’s talks. The automotive industry negotiations have a strong influence on other sectors. Most major Japanese companies are expected to respond to requests from labor unions on March 13. In recent years, monthly base pay hikes have picked up in some industries following Prime Minister Shinzo Abe’s repeated calls for wage rises to spur private consumption and fight chronic deflation in the country. Ahead of last year’s wage negotiations, Abe called for a pay-scale hike of 3 percent. Major Japanese companies increased wages by an average 2.53 percent, the highest since 1998, according to data from the Japan Business Federation, the country’s most powerful lobby, also known as Keidanren. This time, speaking in December, Abe refrained from mentioning an explicit figure but said he hopes Keidanren member companies raise wages for the sixth straight year. The lobby’s chairman, Hiroaki Nakanishi, who took the post last May, has made clear that he wants to depart from engaging in wage talks led by the government. He also wants Keidanren member companies to consider a more comprehensive approach to improving labor conditions. Nakanishi believes Japanese businesses, which face a severe labor crunch, need to explore ways other than simply raising monthly pay to help attract outstanding talent, such as promoting work-style reforms. He has said guaranteeing an improved environment for employees to achieve a better work-life balance is necessary to strengthen competitiveness amid uncertainty in the business world caused by factors such as U.S.-China trade friction and the U.K.’s exit from the European Union. 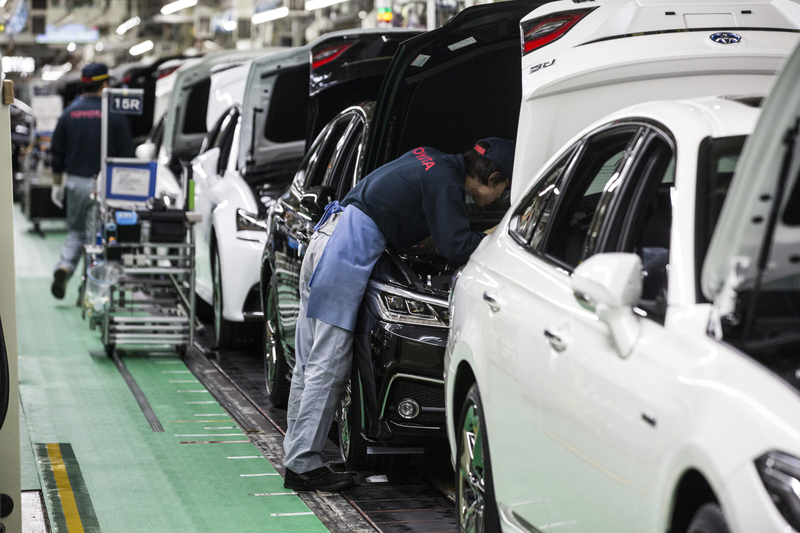 The Confederation of Japan Automobile Workers’ Unions, with 780,000 members, has also decided not to set a numerical target for a pay-scale hike for the current wage talks. It says doing so may only cement existing disparities in pay between employees of larger and smaller companies.